“Kerala Virus Spread to Kutch” was the title of an article that appeared in Organiser around fifteen years back. Then a Malayali working in Gujarat I was curious, it talked about the Christian missionary activity in Kutch. 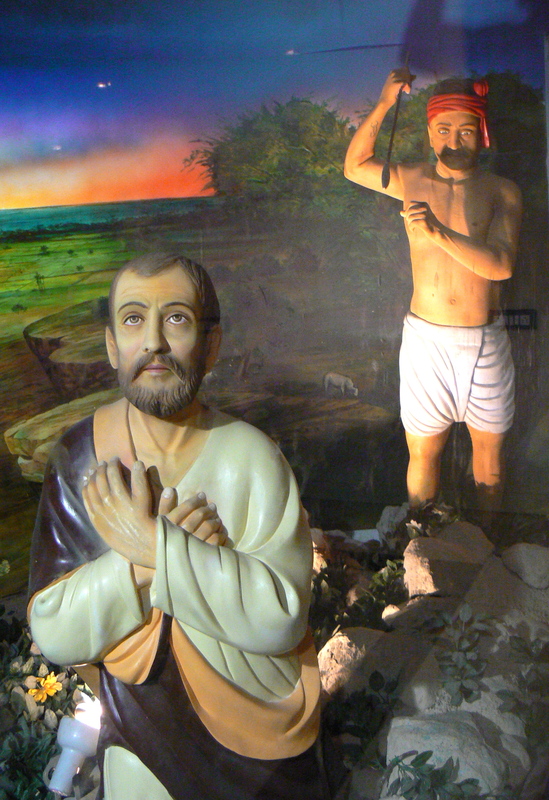 Spear headed by the Kerala Christians, who start schools, help the poor and “salvage” the people in myriad ways. I remembered this after seeing an article written by one Dr. C. I. Issac, a Syrian Christian from Kerala, on the history of the Syrian Christians. It so happens that Dr. Issac is now an established RSS leader and is Secretary of the RSS outfit Bharateeya Vichara Kendram founded by the veteran P. Parameswaran in Thiruvannathapuram. Here was yet another attempt, as shrewd as it can be, trying to shield a community which did enormous harm to Kerala and India. Till the British left they were allies of the British, “our Christian brethren in Malabar” as innumerable British documents narrate, and enjoyed all privileges. Even today they are spear heading all the conversion initiatives across India and pool in international church funds for the purpose. Several organisations in Kerala do just this. Have budgets mounting to billions. Seeing the tilt in India they are now trying to be good boys. Quite normal with them, till 1947 they called Mahatma Gandhi Mr. Gandhi, just as the British did. Their news paper Malayala Manorama is evidence. Later they said they are freedom fighters, Congress men. Now they rule Kerala. Going back historians have talked about them, one time refugees to Kerala from Syria. After religious persecution, like the Parsees. But recent studies have come up with shocking data. 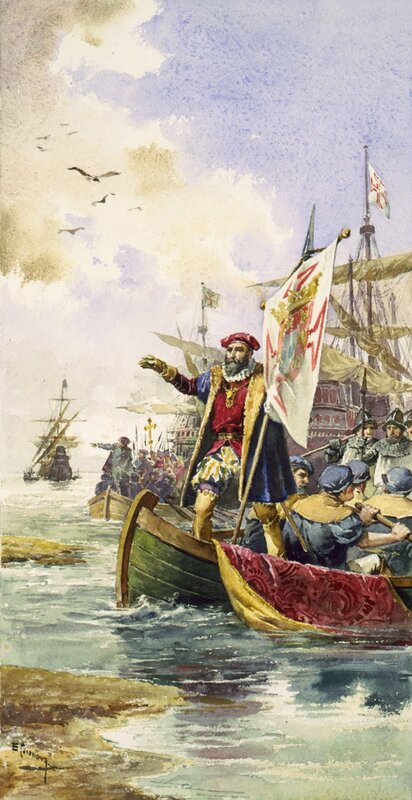 Like Sanjay Subrahmanyam in Lisbon taking Portugese Documents (“Career and Legend of Vasco Da Gama”), they have said that it was the Syrian Christians called St. Thoma Christians of the East by the Europeans, who brought Vasco da Gama, beginning the colonisation of India, to Kerala shores. That they had offered to the Portuguese, French and British support to evict the local kings, Zamorins, who gave them refuge. Obviously the early Syrians were here for centuries, came as refugees, later more coming in. The same fact is also there in the Dutch history of Travancore, also in the French sources. That the Syrian Christian refugees of Kerala wanted the Europeans to help them to have “Thy Kingdom Come”. They are now exposed, despite Syrian Christians in control of Kerala, despite the backroom boys of Sonia Gandhi being Syrian Christians of Kerala there are demands from within Kerala that the Syrians go back to Syria. Why Dr. C. I. Issac is taking the mantle of an RSS leader in Kerala, is “fighting for the Hindus” against “minorities”. Too clever that, as the weapons go against the diluted “minority” more to the Muslims. These are a shrewd people and the worst sufferers were the Nairs and the Brahmins, formerly the Kerala warrior caste like Rajputs and the priestly caste, the so-called upper castes. On whom the British spat venom, made the others enemies of them. They also converted the lower castes and tried to liquidate the Hindu leadership, ruining Kerala. Once called the richest nation in the world by the world traveller Marco Polo (13th century) Malabar, present day Kerala, is today a suicide capital. There are armies of the Hindu unemployed roaming all Indian cities, the only people wallowing in luxury are the Syrian Christians, with their international church funds and vote bank politics. The other rich in Kerala are the Muslims who have oil money from the Gulf. It is a sin to spread this lie about the Syrian Christians. Their core beliefs, language of worship (Syriac) and totems are all from West Asia, to this day. They came from old Syria, today part of Iraq, Turkey and modern Syria is well established. Most of them are still under the Christian Church of Antioch, now in Muslim Turkey. It is also well established in world history that there were exodus of people Jews, Christians and Parsis from that region. It is futile for Dr. Issac, how so ever shrewd he is, to cover up history written through a few centuries, in many countries, in many languages. The question is this, the Syrian Christians who came as refugees have now captured Kerala. They own all major establishments, own up to 85 percent of educational institutions, 80 percent of media, most of the banks, financial institutions and the Hindus, once ruling Kerala, slave it out as workers. Impoverished they commit suicide in thousands. What began during the British regime, continued with the secular communist phase. Why go elsewhere, see Kerala now ruled by a Christian-Muslim coalition, has no Hindu political party worth the name in the state. It is branded communal by the predominantly Christian media. The chief minister, chief secretary, police chief, majority IAS officers, why even the sportsmen are all Syrian Christian. This entry was posted in caste, caste in Indian christianity, kerala, knai thoma, saint thomas christians, syrian christians and tagged c.i. isaac, christian missionary activity, congress men, nasrani christians, pradeep nair, st. thomas christians, syrian christians, vasco da gama. Bookmark the permalink.